(6) pieces Cabinet Knob. 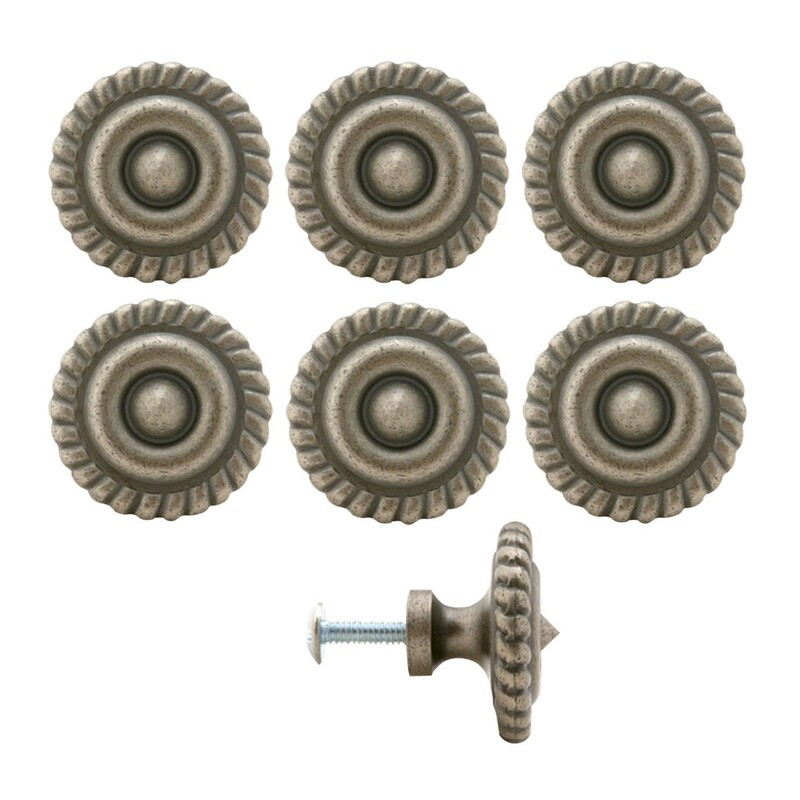 Made of cast brass this cabinet knob has a pewter finish. It features a beautiful round shape. Measures 1 1/4 in. dia. x 7/8 in. proj. x 1/2 in. dia. backplate. 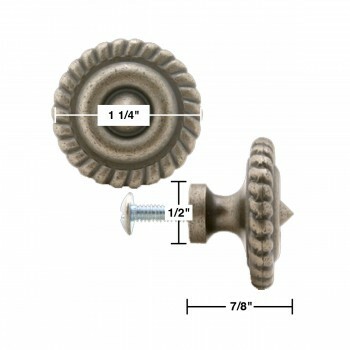 Includes mounting hardware screw.